If you’re looking for the most delicious game day snack, this Pineapple Ham Cheese Ball recipe is your answer. The sweet, salty, savory snack that keeps you coming back for more! Some of you love basketball. I know this because I’m on facebook. And either you’re talking about March Madness or you’re talking about how your husband LOVES this time of year. 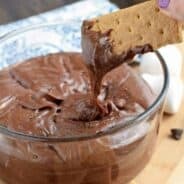 So, in honor of those of you who love watching games with your friends, I thought it only fitting that I bring you a game day snack recipe. Making cheese balls is one of my favorite things to do. They are not only easy, but delicious too. 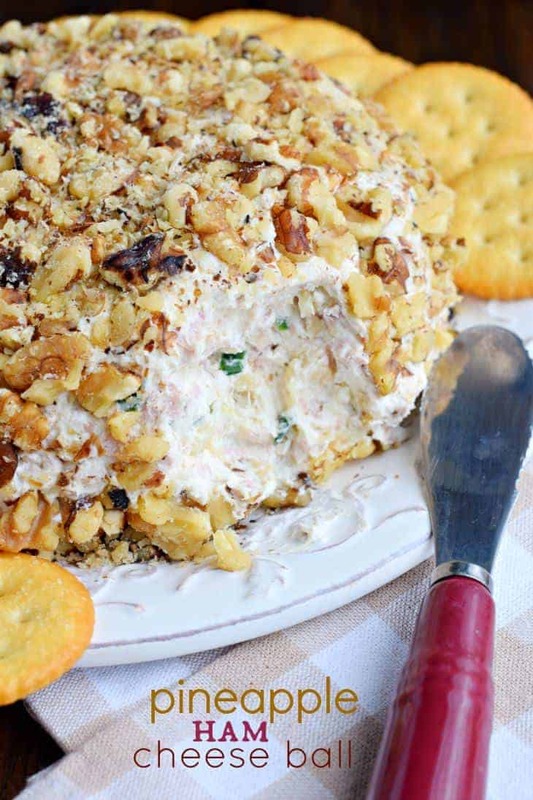 My mother in law first shared this Ham Cheese Ball recipe with me the year I met my husband (1993!!). It’s amazing. But, as you know from reading my blog here, you’re aware that I love a good sweet cheese ball recipe too….like this Toffee version, or this Cherry Chocolate Chip Cheese Ball. So why not combine the sweet and savory into one delicious snack? 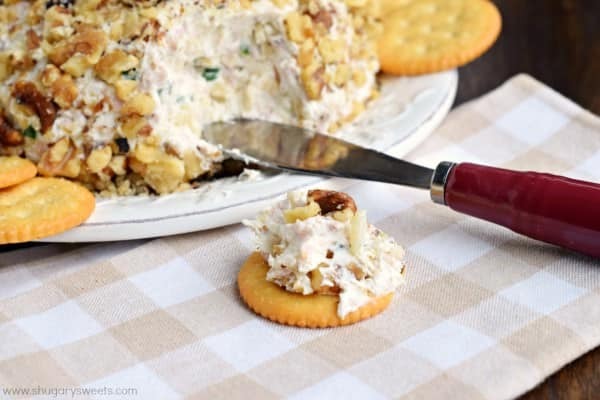 By adding crushed pineapple to my mother in laws recipe, it brings a natural sweet flavor to this savory cheese ball. And adding chopped walnuts adds the salty crunch you’re looking for in every bite. Not just ANY chopped walnuts either. You all know I love Fisher Nuts. I love that they are preservative free, and the deep nutty flavor in every bite is truly wonderful. Start with softened cream cheese. It will make blending the ingredients so much easier. You can use a wooden spoon, or the paddle attachment on an electric mixer. DRAIN your crushed pineapple. You will need a cup of crushed pineapple, but you don’t need the extra liquid. Squeeze the excess out by using a strainer (and pressing the juice out) or using paper towels and pressing the excess liquid. I used deli ham that I diced up for today’s recipe. But with the holidays near, leftover ham would be great in here too, just make sure to dice it small! 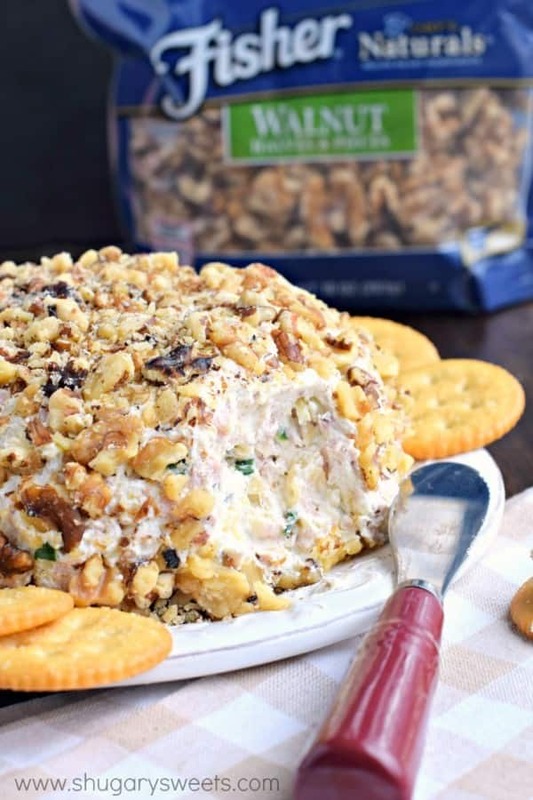 You’ll want to add 1/2 cup of your chopped Fisher Walnuts to the filling of the cheese ball. And you’ll need an additional 1 cup of nuts to roll it in. Place a large piece of plastic wrap inside a small bowl (3-4 cup size bowl). Drop your cheese ball mixture into the plastic wrapped bowl, and cover it. Refrigerate for about an hour, until the cream cheese has firmed up slightly. Remove the entire plastic wrapped cheese ball from the bowl and place it on a serving plate. 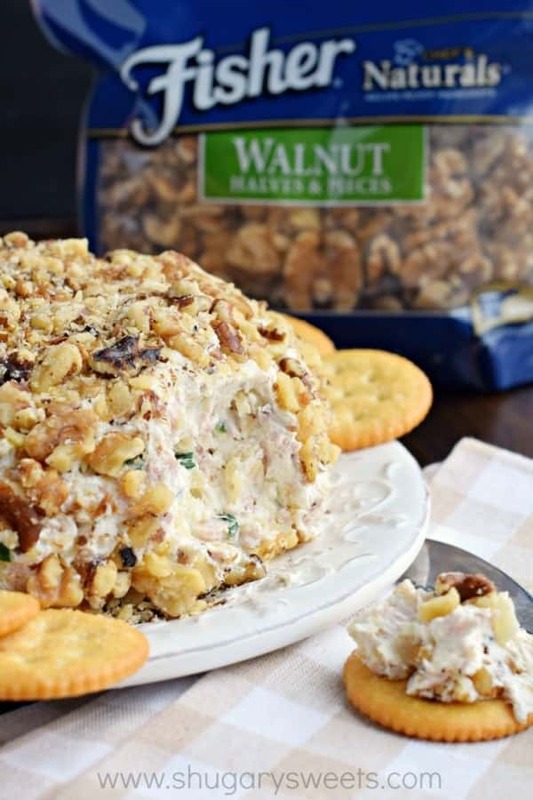 Press your reserved cup of walnuts into the top and sides of your cheese ball. You can either serve immediately or cover and serve later. Store covered in refrigerator for up to 3 days. ENJOY! If you're looking for the most delicious game day snack, this Pineapple Ham Cheese Ball recipe is your answer. 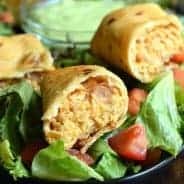 The sweet, salty, savory snack that keeps you coming back for more! 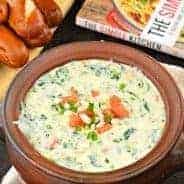 In a large mixing bowl, combined cream cheese, green onions, italian dressing, ham, pineapple and 1/2 cup chopped walnuts. Mix until well blended. Line a small bowl (3 -4 cup) with plastic wrap. Drop cheese ball mixture into bowl and wrap it up until completely covered. Refrigerate for one hour. **This is a sponsored post on behalf of Fisher Nuts. I was compensated for my time, however all opinions expressed are 100% my own! Beautiful! 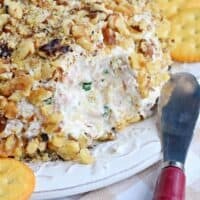 Very similar recipe for my Gramma’s Pineapple Cheeseball that’s been in our family since the 1950’s!! She didn’t use Italian Dressing, but other seasonings. She also used green peppers & chopped onions instead of the green onions. It is a staple at every family gathering. Seeing your recipe brought a smile to my face, thank you. I don’t watch basketball but I want to watch this cheese ball disappear into my stomach. It looks so good!